Trama: Director Spike Lee's drama was produced by the team behind Get Out and offers another provocative exploration of American race relations. In the midst of the 1970s civil rights movement, Ron Stallworth (John David Washington) becomes the first black detective on the Colorado Springs Police Department. 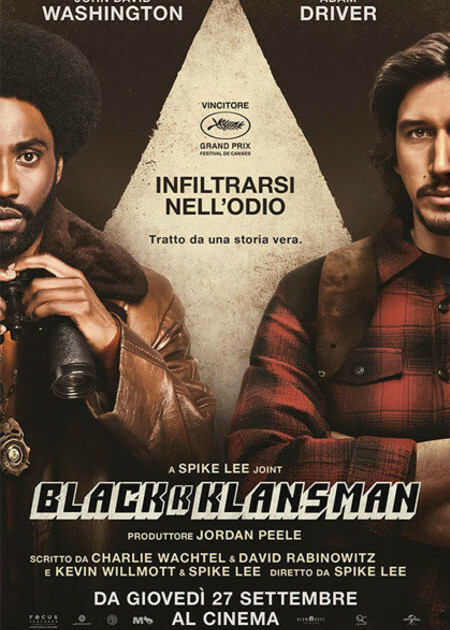 He sets out to prove his worth by infiltrating the local chapter of the Ku Klux Klan and convinces his Jewish colleague (Adam Driver) to go undercover as a white supremacist. Ron Stallworth, an African-American police officer from Colorado, successfully manages to infiltrate the local Ku Klux Klan with the help of a white surrogate, who eventually becomes head of the local branch.